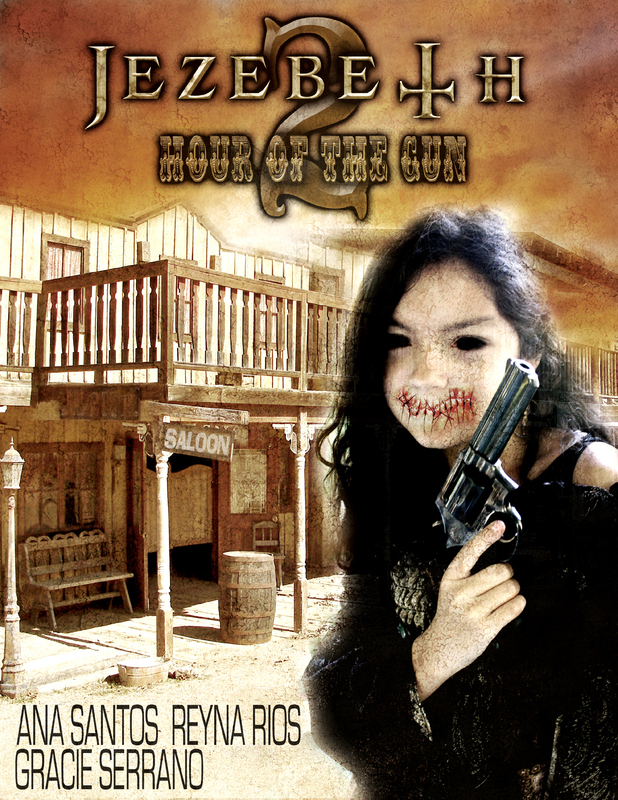 “JEZEBETH 2 HOUR OF THE GUN” Directed by Damien Dante and Starring Ana Santos as Jezebeth. The controversial artwork shows the image of “Abigail” a young child holding a Gun with her mouth sewn shut, and her eyes revealing her black empty soul. Abigail is played by Gracie Serrano an amazing young child actress. STORYLINE: “It’s the year 1881 and the outlaw vampires Jezebeth and Billie Gunn, now bitter enemies have parted ways after a human child is gunned down in cold blood. Now after 130 years that same child who became a vampire is used by the outlaw Billie Gunn as bait to lure Jezebeth back to the land where it all began for a bloody final showdown. SGL Entertainment, Indie Rights Distribution and other media partners. This entry was posted on March 23, 2014 by sglentertainment. It was filed under Uncategorized and was tagged with Abigail, Ana Santos, Artwork, Damien Dante, Jeffrey A Swanson, Jezebeth, Jezebeth 2 Hour of the Gun, New, Revealed, SGL Entertainment.